An extremely short account of an extremely big subject: the history, uses, physiological effects, pharmacological development, and future of drugs. 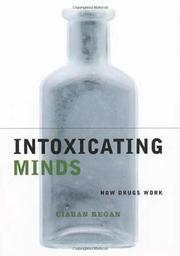 Although he discusses the negative physiological effects of drug and alcohol abuse, Regan’s (Pharmacology/University College Dublin) approach to his subject is informative rather than moral: He treats recreational drugs such as fly agaric mushrooms and LSD side by side with prescription antipsychotics (such as Prozac and Paxil), and the mildest of drugs (such as caffeine and tobacco) along with their more serious counterparts without missing a beat. Regan emphasizes the anthropology of drug use (e.g., the possibilities that early cave painters were “stoned” while painting and that Europeans stuck longer with alcohol and were slower to take up amphetamines than their American and African cousins) and the raw science of drugs and drug use: i.e., how drugs are processed by the body, what their short- and long-term effects are, and how they have been developed from their first scientific discovery to recent and future developments by what has become the modern-day pharmaceuticals behemoth. Presumably, Regan’s hope in part was to write an accessible introduction to a subject normally surrounded by myth and misinformation, and given his expertise and matter-of-fact approach, this would be a valuable installment were it not such a slight work. Given the mammoth nature of Regan’s project, however, it is a wonder that the volume came in under 1,000 pages, much less under 200. Unfortunately, this brevity is achieved at a cost: the author skims too lightly over his subjects, and the hard science he uses to describe how drugs work in the body and how they are developed is not a good match for the lay audience suggested by the overall tone and depth. Material that might have worked better as chapters of a textbook.